The All Progressives Congress, South West Zone, has barred Senator Dino Melaye from the zone until he apologized to Senator Oluremi Tinubu over his vituperations against the senator representing Lagos Central in the red chamber. Senator Melaye had on Tuesday on the floor of the Senate insulted Senator Tinubu, threatening to beat her up and ‘impregnate’ her. The Southwest APC in a statement signed by Ayo Afolabi, Zonal Secretary, warned that Senator Melaye should regard the South West Zone as a no go area if he refused to tender a public apology and desist from such unruly behaviours on any colleague from any party of this country in the future. ”All Progressives Congress members (South West Zone) feel scandalized and traumatized that we are in the same political party with the likes of Senator Dino Melaye who was credited with using the sovereignty of the floor of the Senate Chambers to address Senator Oluremi Tinubu a Very Distinguished Senator and wife of our Leader Senator Bola Ahmed Tinubu in very rude, indecent and uncouched language. We are surprised that any person elected into the Nigerian Senate could remind us of the often repeated lyrics “Vagabond in Power” by Fela Anikulapo Kuti at the Berlin festival performance. On the other hand, going by the antecedents of the undistinguished Senator Melaye, his current conduct in the Senate is predictable, he had “married” and divorced three women who all had stories of violence visited on them by him. We wonder if Dino thought Mrs. Tinubu was in the class of his slave ladies. Dino we know was rejected in 2011 by his constituency at the polls, only for him to clandestinely contest the senate seat riding on the popularity of the All Progressives Congress to climb to the hallowed chambers of the Senate. But the leopard never shed its skin. Melaye is nothing but a disgrace to the Nigerian Senate. We at the All Progressives Congress (South West Zone) call on the undistinguished Senator to publicly withdraw his tantrums and apologize not only to our own Mrs. Oluremi Tinubu but also to the entire Tinubu Family, Womanhood and the All Progressives Congress in the South West Zone. We invite all our women society organizations to see this as a fight against the denigration of the Nigerian woman. We call on the National Leadership and indeed the National Chairman of our Great Party, His Excellency Chief John Odigie Oyegun, to call the disgrace of a person in Senator Melaye, a wolf in a sheep’s skin to order. From reports of his performance and activities in the Senate, this incident is typical of Dino’s record. We wonder if Dino will not one of these days carry out his treat of beating up a Senate colleague. We call on the Ag. 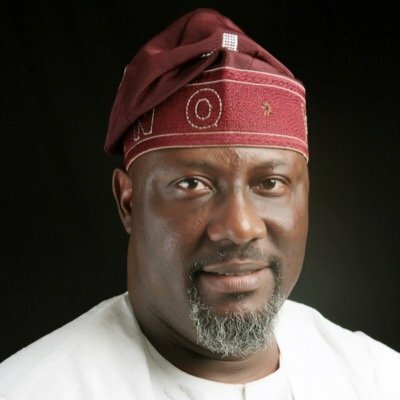 Inspector General of Police Ibrahim Kpotun Idris to note the threat issued by Dino Melaye, that he will kill anybody who testifies against the accused persons in the Senate forgery case. We think Dino threat is not just running his usual verbal diarrhoea, but his outburst was a demonstration of the hatred he harbors for our Distinguished Senator Oluremi Tinubu. Meanwhile Senator Melaye should regard the South West Zone as a no go area if he refused to tender a public apology and desist from such unruly behaviours on any colleague from any party of this country in the future. A word is enough for the wise. Ayo Afolabi, Zonal National Secretary, South West.